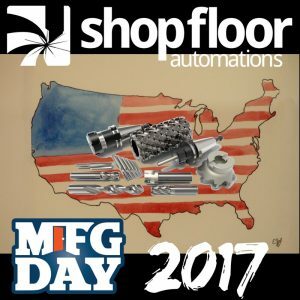 Shop Floor Automations loves MFG Day. We recognize that there are some challenges to the manufacturing industry and although our solutions help, there is still a skills gap that needs to be filled. Around this time last year, we paid a visit to Workshops for Warriors (WFW) and even got to interview their founder Hernan Luis Y Prado about the organization at an event. This year, there has been a lot of progress, but WFW still aims to spread its message further. When Veterans, Wounded Warriors, and Transitioning Service Members attend the programs of WFW, they are earning credentials from many organizations. Significantly, they can gain credentials from the National Institute for Metalworking Skills (NIMS), CNC Software Inc. (MasterCam), SolidWorks, Immerse2Learn, the National Coalition of Certification Centers (NC3), and the American Welding Society (AWS). Click “Read more” or scroll below for the rest of the story! WFW Founder & CEO Hernán Luis y Prado. Hernán served in the Navy for 15 years, so this topic hits close to home for him. His message has always been clear – that veterans are the perfect group of people to learn how to use manufacturing equipment to fill these jobs. Another organization helping to spread the word to the youth of America about manufacturing is Edge Factor. You may remember them from an in-depth interview we did with their founder, Jeremy Bout. When we caught up with him recently, he shared with us his most life-changing feedback he ever received. As well as the administrative challenges and plans they have in the works, they are also working on getting their star-studded film Masters of Resonance out to the public. Jeremy spoke more about it in our previous interview and we look forward to seeing it, once it is released. Jeremy also said they are about a month or less away from a big update to their brand! Ready to take your Made in America operation to the next level for productivity? Give us a call at (877) 611-5825 or fill out a contact form.